The displayed fares were last found on: Thu | 18 April 06:10 AM(EST) . Fares are round trip. The table lists flights to LGA. Fares are non-warranted and subject to change. Fares are inclusive of base fare, fuel surcharges, airline/airport taxes and our service fee. New York City Metropolitan Transportation Authority (MTA) buses connect LGA with all key areas of New York City including Manhattan and Queens. MTA also complements the subway services offered by Metro-North Railroad and Long Island Rail Road. A one-way trip to MTA buses or subways costs $2.75. 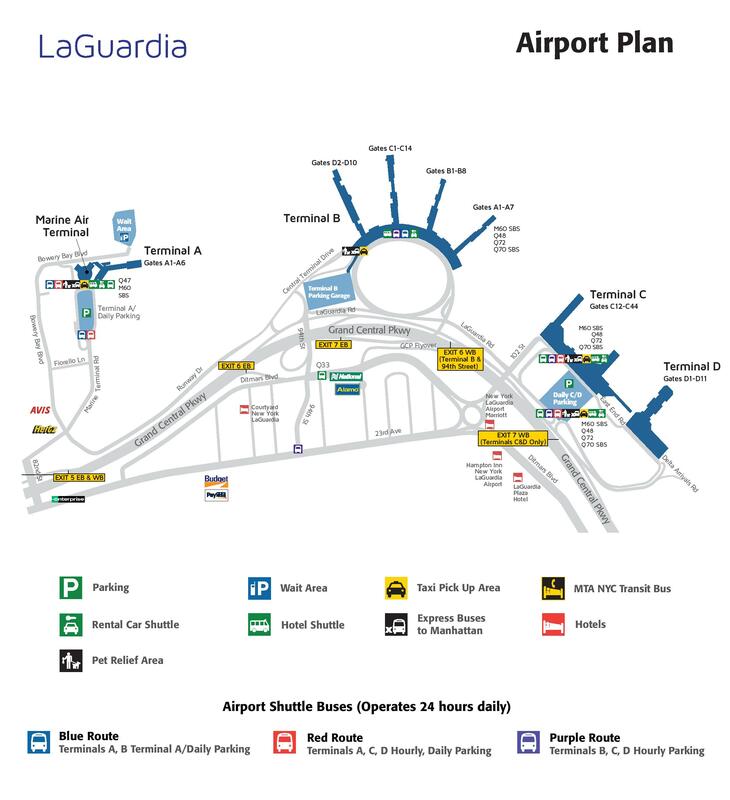 MetroCards can be purchased at MetroCard vending machines located throughout LaGuardia Airport terminals. Passengers using MetroCards get a free transfer from their bus to the subway. This is the original airport terminal building. As of October 27, 2018 JetBlue Airways operate out of Terminal A. Passengers can take refuge in the lounges offered by their respective airlines. Generally, all are non-smoking lounges and they offer complimentary amenities like Newspapers & Magazines, Printers & Copiers, Beer & Wine, 18+ Cardholder, Spirits & Liquor, Premium Food, Internet Terminals, Snacks, TVs and Wi-Fi. Additional amenities like conference room might be available on paid basis. Here is the list of lounges run by different carriers.